There was no better way for Grizzly Sports to celebrate Independence Day 2016 than working with our friends at SportsBlog.com to help 7-time NBA champion Robert Horry share his feelings about his father and the United States Military. Per Robert’s first-person blog: “My Dad, Staff Sergeant Robert Horry, Sr., was a career U.S. Army soldier and Vietnam veteran… and I couldn’t be more proud to be his son. 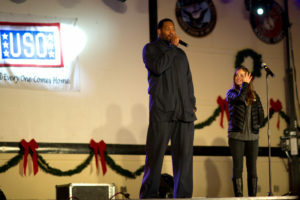 Click the following link to read The Ultimate Sacrifice, by Robert Horry in full at SportsBlog.com.